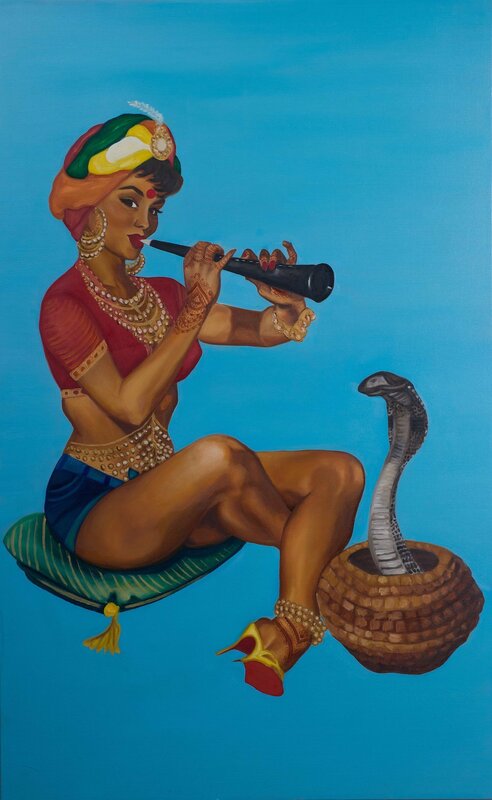 This painting is called Nagini. While this one is called Karvachauth. And this one is called I Love My India/Watan Mera India. Bhanot told BuzzFeed India that she came up with this idea in the year 2012, when she was in art school, and heard about the gangrape and murder of Jyoti Singh. "I was very angered that there were people out there blaming her for getting raped because she was out at night. Mohan Bhagwat’s comment about ‘Bharat’ becoming ‘India’ due to Western influence and being the cause for a rise in gang rapes sincerely pissed me off," she said. The image above is called Ironing Out Wrinkles In Your Perception. And the one below is called Beauty Of The Orient At Your Elbow. 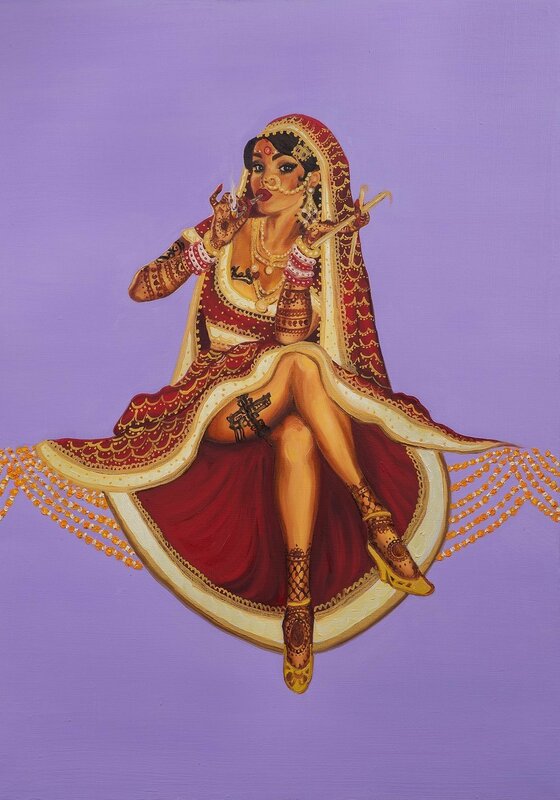 Bhanot's work tackles stereotypes that range from attaching unladylike labels to a woman's behaviour, based on the way they dress, or speak, or live their life, to what is expected of an ideal Indian bahu. 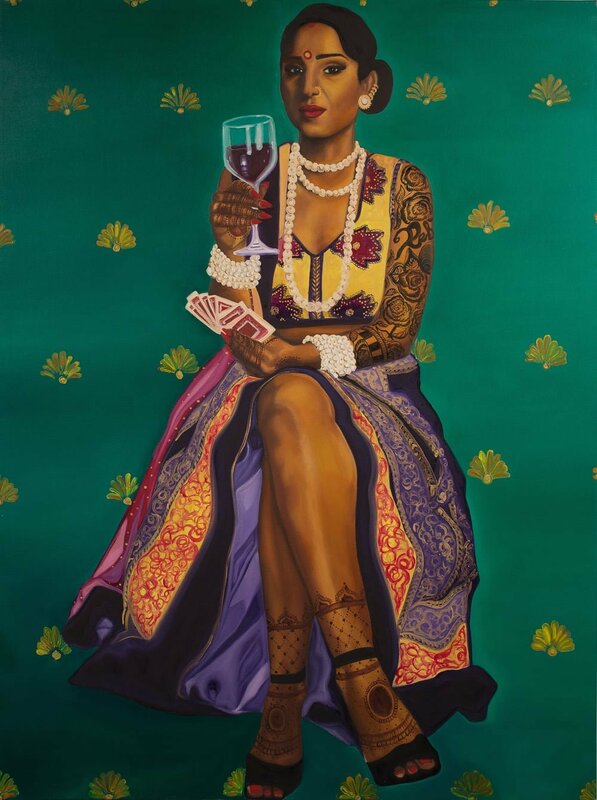 She told Vagabomb, "This series has been inspired by a painting I did in 2013 titled Badass Indian Cop. 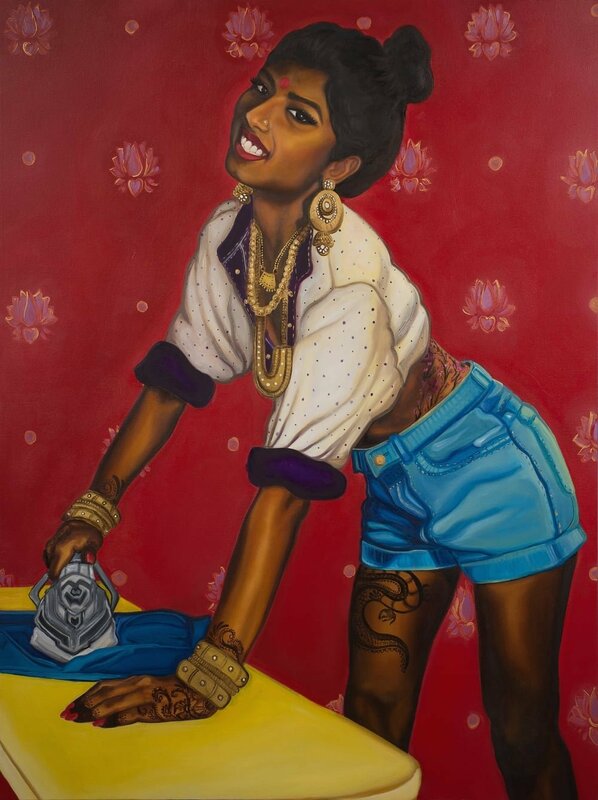 When I was in my fourth year at OCADU, I changed my thesis mid-year so I could make art about South Asian feminist issues from a bicultural Indo-North American perspective. I wanted to continue the pinup theme I explored in Badass Indian Cop but in a more fun and relaxed style of painting. A lot of pinups look like they've been caught off-guard in vintage portrayals but I like my pinups to stare back confidently at the viewer." 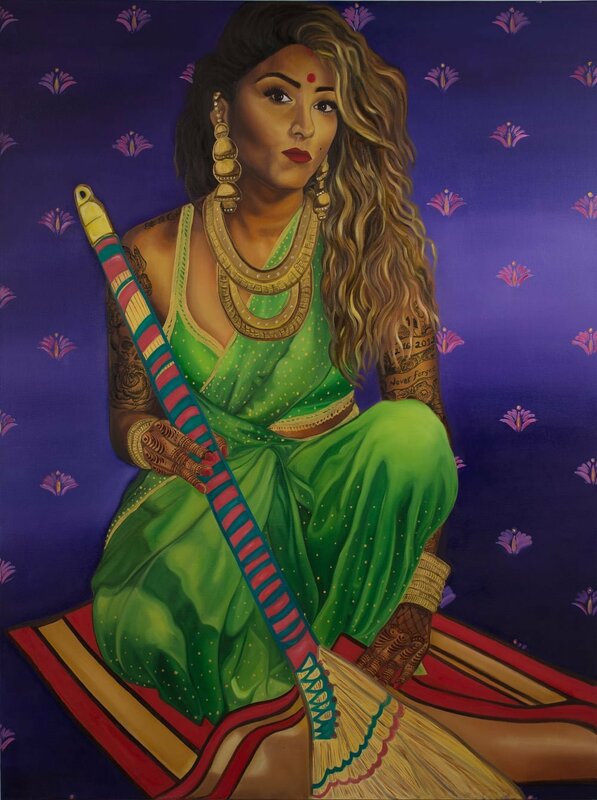 Mostly oil on canvas, Bhanot further told BuzzFeed, "Nothing satisfies or inspires me more than hearing '..this is what the REAL India is like' or when people comment on my Instagram pictures and tag their friends saying '..this is SO US!!'" To keep up with all her badass work, do check out her website and her Instagram account. More power to her in her creative and revolutionary pursuit!